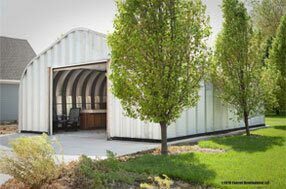 Metal garage kits and steel arch buildings custom manufactured for Missouri. 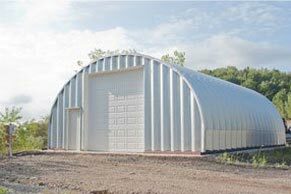 Metal Building Kings® Missouri metal garage kits and steel arch buildings are custom built at our manufacturing facility to meet certifications and proper criteria in AR manufactured building codes and blueprints delivered to your steel building permit location and are approved by your local building inspector. 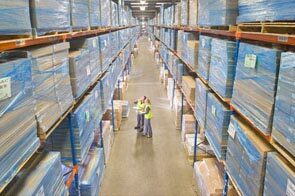 Our distribution centers located in Columbia, St. Louis, Springfield, Kansas City, O'Fallon, St. Charles, Joplin, and Jefferson City ship Missouri garage kits and steel arch buildings to all 6,083,672 million residents in 114 counties throughout the “Show Me State”. 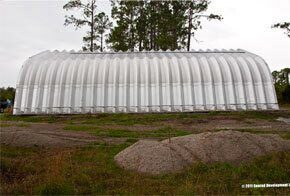 Missouri’ primary industries, agriculture, advanced manufacturing and bioscience, orders custom designed steel arch building kits to protect their machinery and supplies from tornadoes and sever weather and for relocation procedures as the quonset hut arch style engineering can be assembled and disassembled easily to relocate whenever needed. 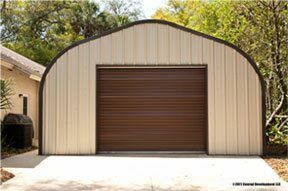 Metal Building Kings® four garage kit models are engineered and designed with different style roofs and sidewalls and are all manufactured with 80,000ksi tensile yield carbon steel coated with aluminum-zinc alloy and silicon to last our full 40 year guarantee and often much longer. 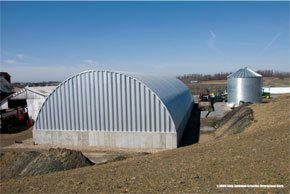 Each metal building has steel arch panels with 7½" deep corrugation and 9 inches of the panels are flat so they fit perfectly together to eliminate the need for adhesives, sealing or waterproofing. 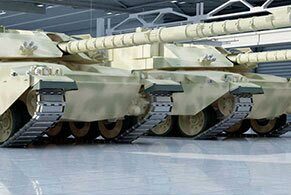 Metal Building Kings® arch kits are the strongest prefabricated metal building construction in the industry. Corrosion resistant, superior strength high Grade 8 bolts are used to fasten the panels and end walls together. 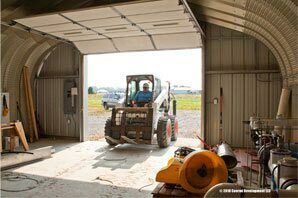 Missouri garage kits make efficient use of materials leaving no residual waste. There is no excess of materials resulting in no unnecessary costs to our clients. The Q and S garage kit models are designed especially for Missouri agriculture and farming businesses with a rounded roof and vertical sidewalls and is available from heights ranging from 10 to 24 feet and widths range from 20 to 100 feet with unlimited length to house massive crop inventories, tractors, and large equipment. 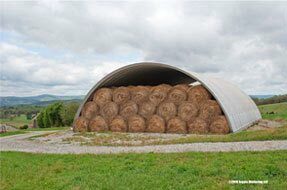 The 7½" deep corrugated steel arches are manufactured with 80,000ksi tensile yield carbon steel coated with aluminum-zinc alloy and silicon to withstand decades of use and harsh weather. 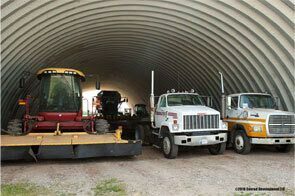 Metal Building Kings® Missouri transportation and shipping customers in St. Louis, Strafford, Springfield and Gerald had us custom build 24’ high metal building kits in 18 gauge steel with 48’ wide and 14’ high bi-fold overhead insulated doors to park their semi tractor trailors. These trucking garages have custom installed service stations built into the garage to maintain their fleet. Over 82 homeowners in Clay county and Morgan, Hickory, Ozark, Stoddard, Scott, Jackson, and Pike counties are referrals we have received from satisfied customers that have ordered the P model straight wide wall and peaked roof style garage kits with widths from 13’ to 30’ and 12’ to 16’ feet high. This garage kit model is popular in Missouri neighborhoods because it matches the typical residential house design and comes in fern Green, Lightstone and Polar White AkzoNobel Ceram-A-Star® 1050 coating. All Missouri garage kit painted with our coating system has Improved chalk resistance, gloss retention and Ceramic/Inorganic pigmentation for decades of maintenance free use in all weather conditions. 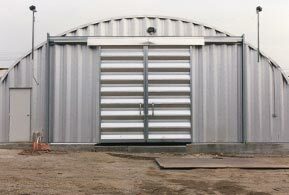 Wind velocity building codes and manufactured buildings codes in Missouri are built into our Missouri metal garage kits and are compliant beyond any state's codes with 170 mph wind force resistant structures. A company cannot ship a manufactured garage kit or steel building into the state unless it meets Missouri's codes. 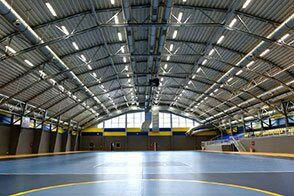 Metal Building Kings® certifications go much further than MO requirements.